Holey Moley - this place is so much fun! Newly opened in Adelaide, this indoor mini golf course is fast becoming one of the hottest spots in town. Holey Moley is putt putt par none. It's wacky and fun and just a little bit manic. I had the best time and would really love to go again, not just to better my fairly average golf score, but to sample another one of their cocktails. Yes - cocktails. 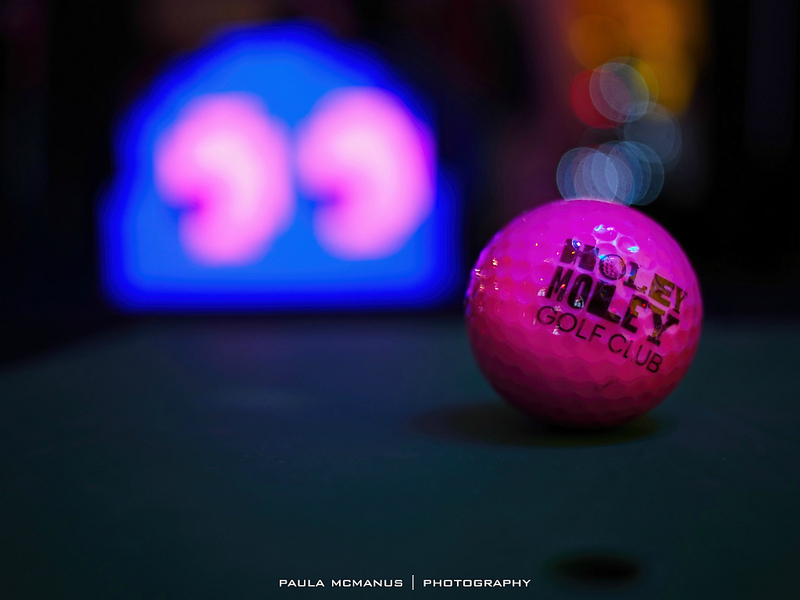 Holey Moley isn't just an amazingly creative themed mini golf course. It's mirrored disco balls, neon lights, funky music, full bar, tasty food and a million out-loud laughs. 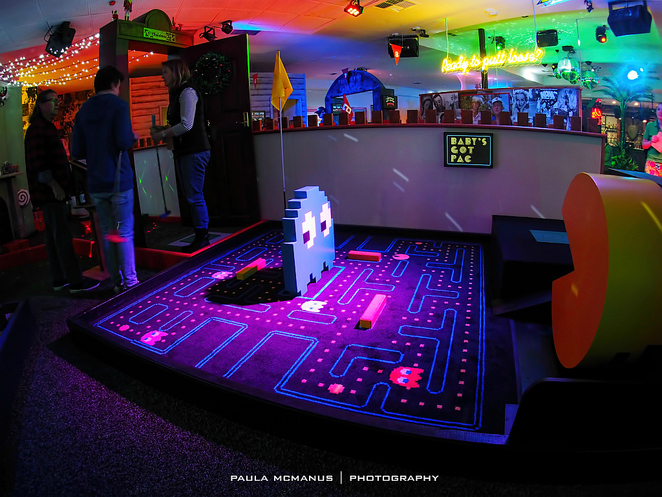 Each of the 18 holes at Holey Moley is quirky and fun. It's a brilliant and unique concept. The holes are all very creative. Some are a playful poke at some big TV and movie icons, while others are just designed to entertain you and/or test your golfing skills. 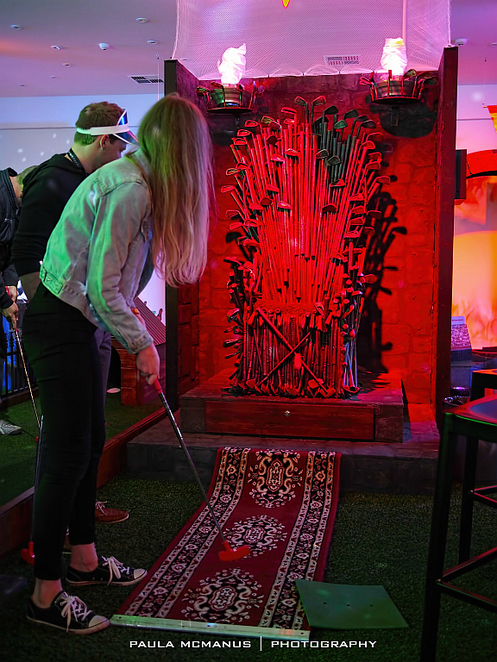 The Nine Iron Throne was a big hit with everyone there - as was the Simpsons "742 Evergreen Terrace" room. There are so many photo opportunities - be sure to take your camera with you. While the courses are mostly targeted for adults, children are more than welcome to try their hand at the mini golf and can enter the premises up until 5pm. 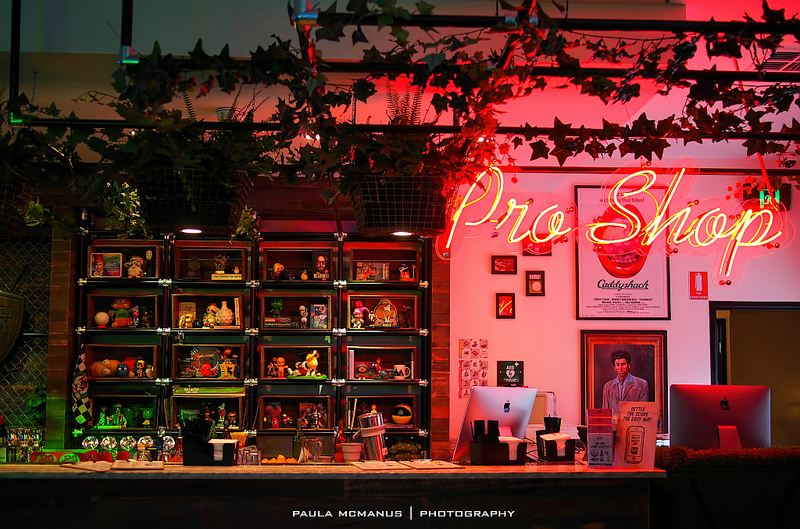 It's a fabulous place to hold a kids (or adults) birthday party. The atmosphere is full of fun and laughter and would be an outing that the whole family would thoroughly enjoy. The wow factor when you walk in the door just doesn't stop. 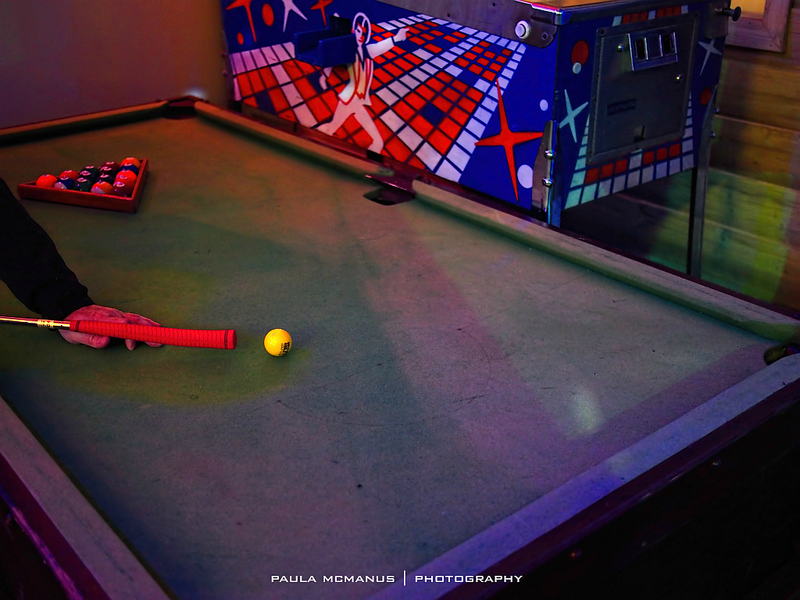 You drop your game token into the gumball machine to get your golf ball, collect your putter, pop your personal items into one of the free lockers that are available for players and you're off on one chaotic obstacle course of fun. The atmosphere is electric with the buzz of excitement of the holes to play: Elvis, Pac-man, Christmas, the Upside Down room, and even one where you are a pinball wizard. 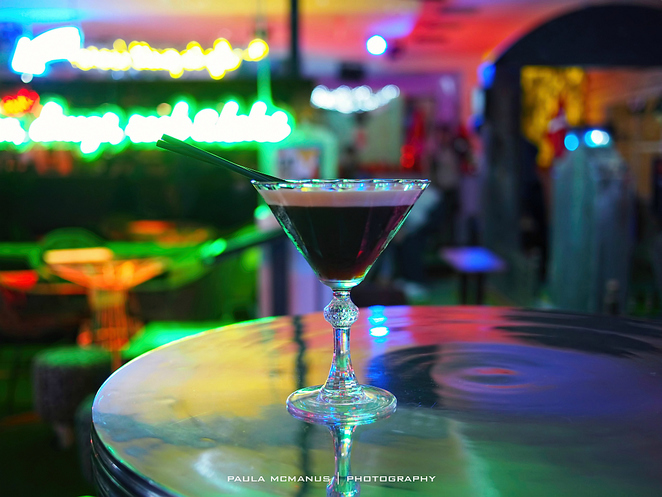 You can be a kid again, but as an adult with a cocktail or other delicious delight in your hand. There are plenty of really polite and helpful staff on hand to help you navigate the courses. At the front entrance, complete with red carpet, we were greeted with big smiles by the friendly and enthusiastic staff, all wearing very loud golfing pants. 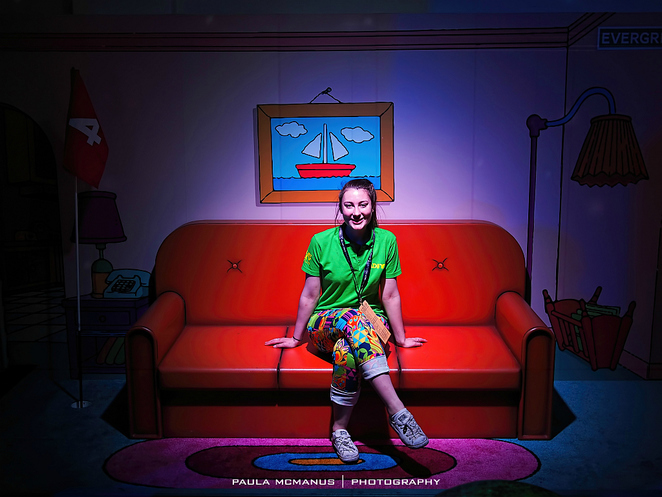 All through our visit, we came upon chatty and easy-going staff, particularly our "Caddy" Meg, who treated us like VIP's. Thank you Meg! If you are looking for something really fun to do, then be sure to check out Holey Moley. It's easy (and highly recommended) to book online. Be sure to book in and visit soon. This place is crazy busy already and it's been open less than a week. 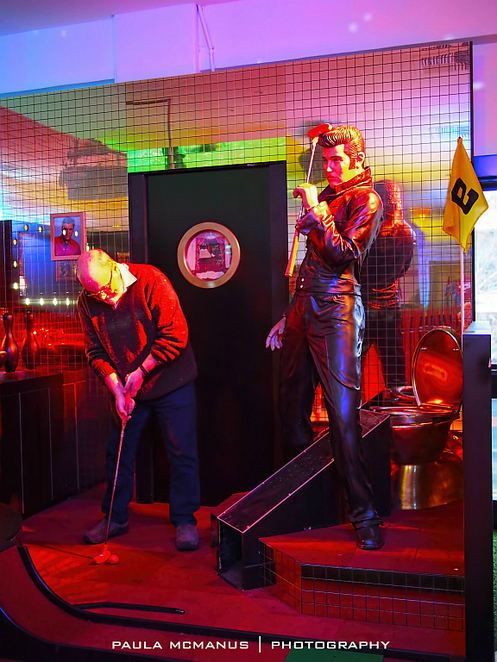 You'd likely kick yourself if you don't book in and experience this very unique mini golf club. Holey Moley is on Level 1, 162-170 Pulteney Street (on the corner of Pulteney and Pirie Streets - entrance is on Pirie Street). Their opening hours are from 12noon till late Monday to Friday, and 11am till late on Saturdays and Sundays. Under-18s are welcome with adult supervision until 5pm. There are 2 levels of stairs to climb, no internal lift and there are some tight squeezes and climbing necessary at most of the holes. Therefore, Holey Moley is not suitable for mobility impaired persons. Why? Holey Moley is putt putt par none.